All of our burgers are 1/3 lb. Our traditional burger grilled to perfection. 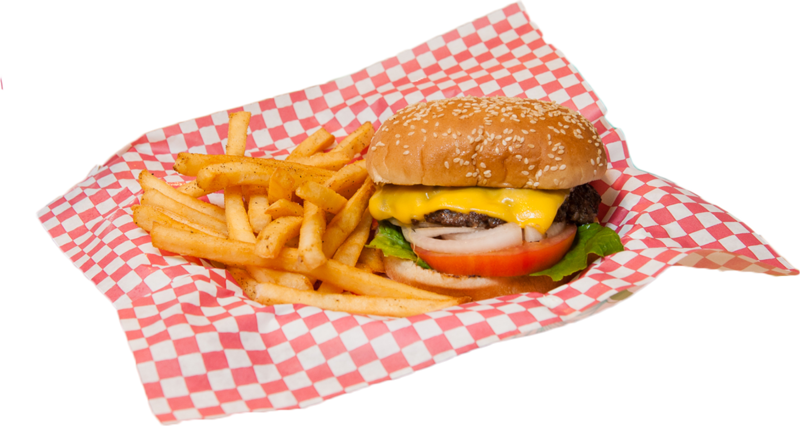 Classic burger topped with sharp American cheese. Grilled Hawaiian pineapple added to our classic cheeseburger. Sautéed mushrooms on our juicy cheeseburger. Authentic Mexican food made with our World Famous Chicken In A Barrel BBQ meats and now FISH* (Mahi Mahi)! Copyright ©2018 Chicken In A Barrel. All Rights Reserved.